Professional Pharmaceutical Reference from C.H.I.P.S. 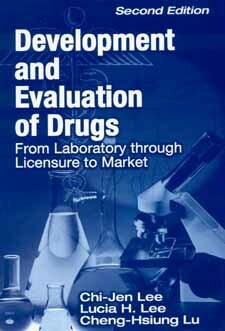 Development and Evaluation of Drugs has been used as a textbook and reference for scientists in biomedical research, industry, and regulatory agencies. Updated and expanded, this second edition examines recent advances in scientific and regulatory approaches as well as changes in the way in which drugs are discovered, developed, and evaluated. The information provided outlines critical steps beginning from drug discovery in the laboratory to licensure and approval for market. Biomedical research is an intrinsically changing and evolving field. A more direct strategy for drug discovery has gradually replaced random screening of natural products. More rapid identification of key molecular structures for new drug candidates and characterization of biomolecules including proteins, polysaccharides, and nucleic acids are now possible. The ability to chemically modify cell surfaces and carbohydrate linkages has facilitated designs of the next generation of new drugs. Thoroughly discussing these issues and more, Development and Evaluation of Drugs focuses on the latest developments in the science and regulation of bringing new drugs to market, including activities of the International Commission on Harmonization.